You’re getting married to your soulmate. You have amazing wedding design ideas. But how do you make your website? “Help!”, you scream into the abyss. Building a wedding website used to be complicated. You’d hire a programmer to make one from scratch. No wonder your cousin Becky didn’t have one for her wedding in 2002. But it’s 2019 – everyone has a wedding website. A study showed that 48% of couples launching a website in 2017. Well that was a long time ago. In 2019 I’m predicting that number is 95%. Even more – you don’t need a website, you need a wedding hub. The website is not just a brochure (like in 1999) – it’s a hub for everything wedding-related. Registry (#1 of course), travel info, wedding party, photos, directions, hotels, etc. The list increases every year! So you need an all-in-one solution. Something that will let you tie in your website design with your invitations design with your registry, all of that. Build your own from scratch? So here’s our top picks to get your site up ASAP. Seriously, where has Zola been the whole time? If you just want us to tell you what to do, go with Zola. Full stop. What started as just a registry has morphed into this beautifully easy all-in-one wedding solution. A super easy website builder that makes beautiful sites in a snap. If I’m any other wedding website builder, I’m shaking in my boots. Nobody has a thing on Zola! Look at how quickly I can set up a wedding checklist. 95% of you are going to want Zola. It’s got everything you need. They started as a registry, but now they absolutely do it all. Sign up with my link to get a special bonus. Minted is one of the top wedding stationery and wedding invitation companies. In an effort to make the dramatic shift from paper to digital wedding invitations Minted created they own wedding website plans. Minted’s effort to adapt to the ever-changing wedding market worked out well. Many couples have used Minted’s wedding website platforms and have given it great reviews. Their beautifully design stationeries and invitation designs transferred perfectly to their wedding website templates and themes. They have a wide array of themes and designs because they source them from hundreds of artist all around the world. 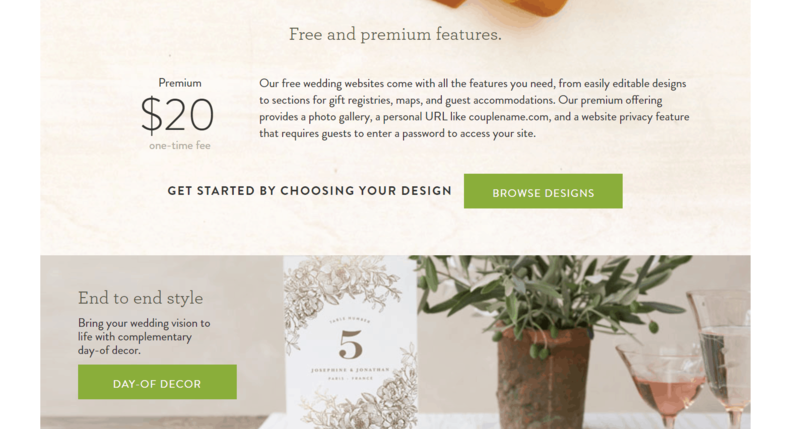 Minted makes the wedding website creation process very quick and simple only taking around 10 minutes to set up. Minted’s templates are very interactive and are very customizable. 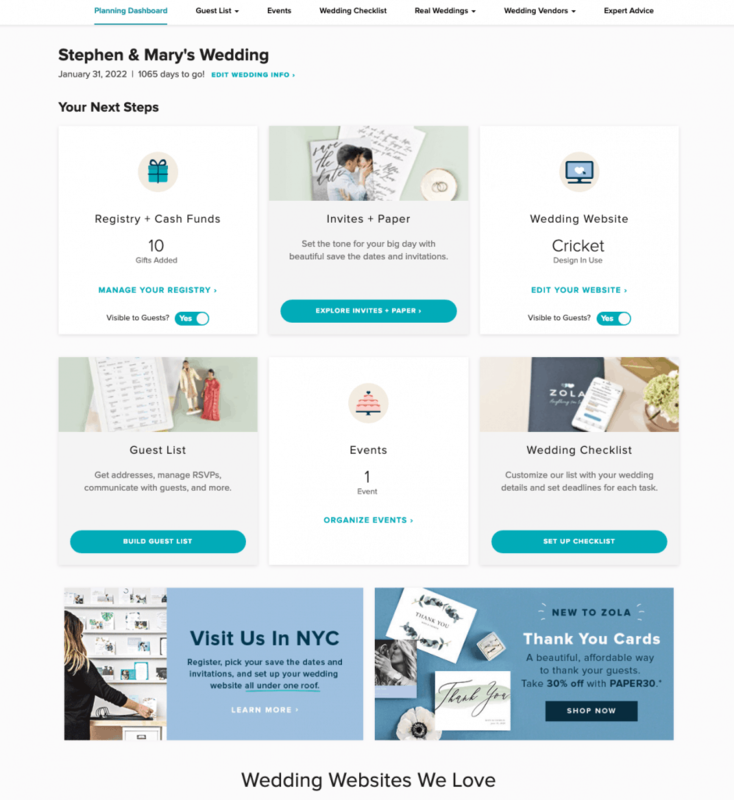 Minted’s free wedding websites come with all the features you need, from easily editable designs to sections for gift registries, maps, and guest accommodations. Minted’s premium offering provides a photo gallery, a personal URL like couplename.com, and a website privacy feature that requires guests to enter a password to access your site. The premium offering comes at a great price of only a $20 one time fee. Joy is a simplistic wedding website builder that is widely used among brides and has won much praise. Joy provides a website building platform that is very easy to use with all the essential features needed to create a wedding website. Joy offers extensive and very useful features that compile all the chaotic factors of wedding planning into an easy and manageable platform. Joy’s designs are simplistic but beautiful. This wonderful wedding website builder is offered completely free of charge. In fact, the free wedding website builder by Joy is the only plan they offer so there are no hindrances to the free service or pressure to upgrade to a premium plan. 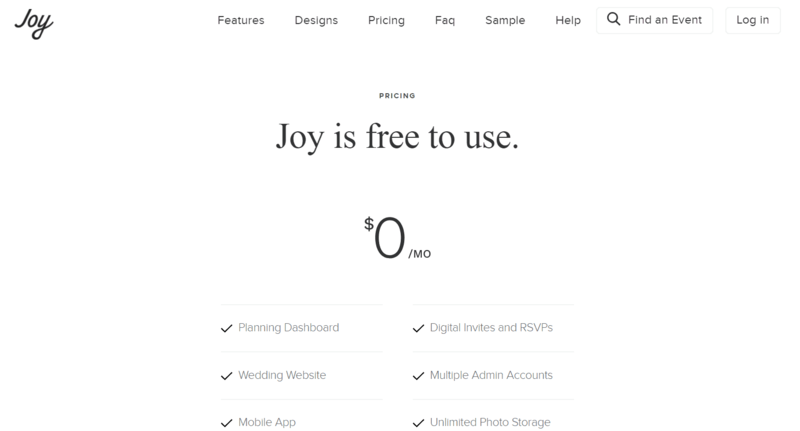 Joy is a great option for couples who want a quick, simplistic, easy, free wedding website builder. It would also be the perfect platform for a couple who unsure about what they want in a wedding website. Since signing up and using Joy is completely free couples can play around with and design a rough idea of what they want their site to look like without losing any money! One issue that some may have with joy is that there is really only one layout that is offered, which would be restricting for some. The design of other features is customizable but the overall layout is restricting to one singular type. Wedding Window offers a wedding website creation platform that is easy to use and tailor to a couples specific design vision. Creating a wedding website through Wedding Window requires no specific skill for a neat and clean modern wedding website. 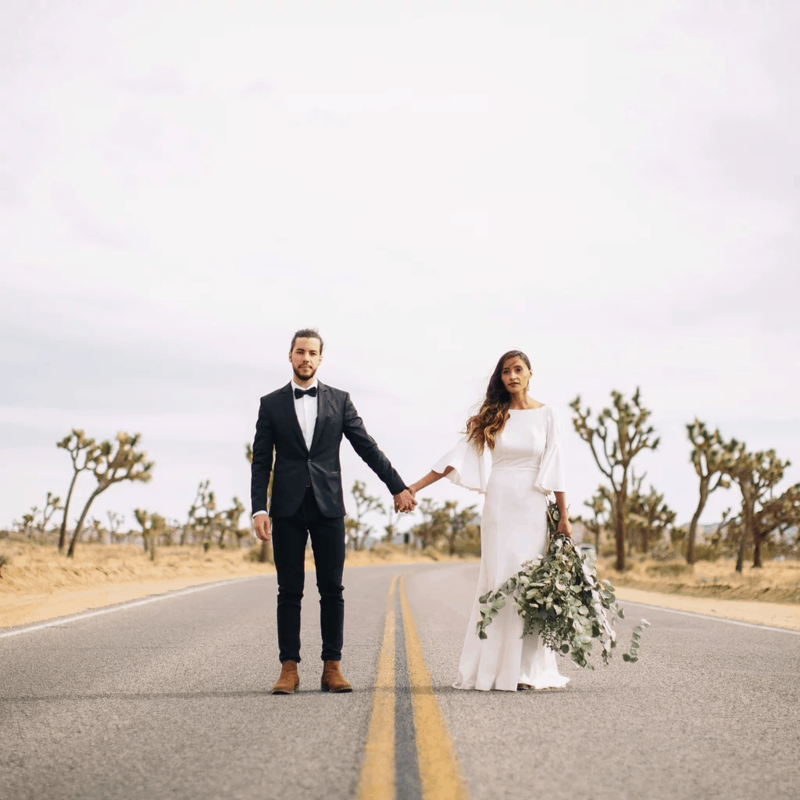 Wedding Window offers many important web building features such as a drag and drop website builder that allows you to easily design each page. Wedding Window’s integrated features and widgets also bring flair and organization to the wedding planning process. Wedding Window allows you to integrate photos and comment sections from Facebook, create an extensive photo or video gallery, as well as incorporate interactive google maps. Wedding Window allows couples flexibility with price as well as customization. There is the free option that provides all the necessary wedding website features and more and there is also the affordable premium plan which is $54/year. Wedding Window offers different themes and a diverse portfolio of templates that you are able to easily customize. A couple issues that some couples may have with Wedding Window is that some of the designs may look repetitive and there is no mobile editing or customization mode. 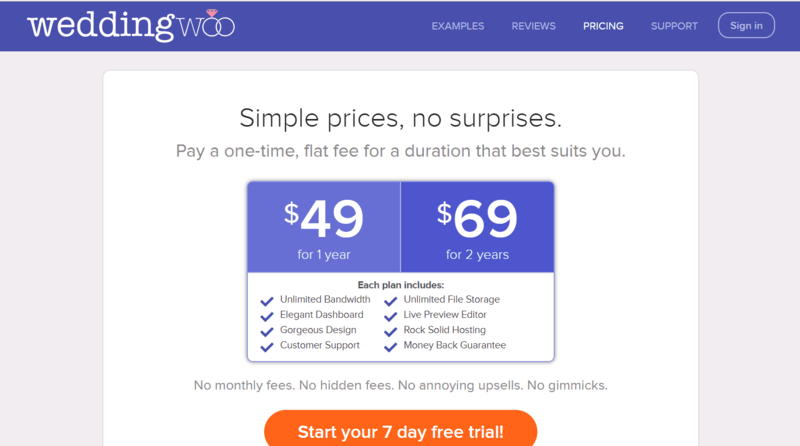 Wedding Woo is a highly praised and popular wedding website builder. Wedding Woo is another great option because it is specifically tailored for couples creating a wedding website. Wedding Woo provides a wedding website platform that is very easy to create, edit, and customize. The layout of the templates offered by Wedding Woo is favored by many couples because its design really puts a focus on the couple itself. Wedding Woo makes it very easy and painless to create a beautiful and unique wedding website. The website builder does require payment as there is no basic free plan. 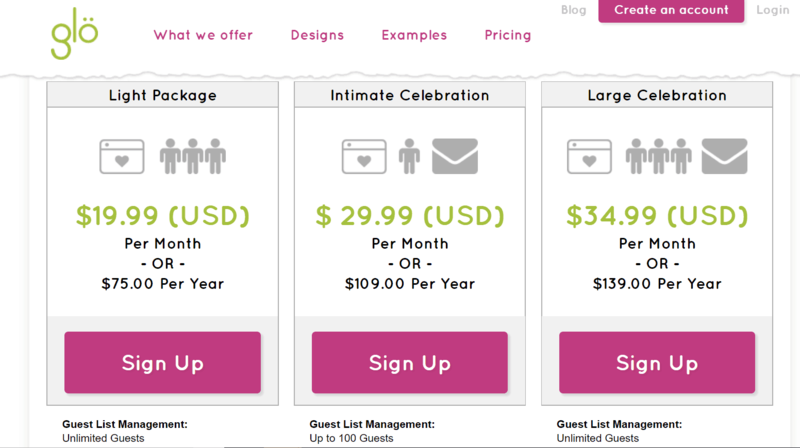 The cost of a wedding website for one year is $49 and for two it is $69. 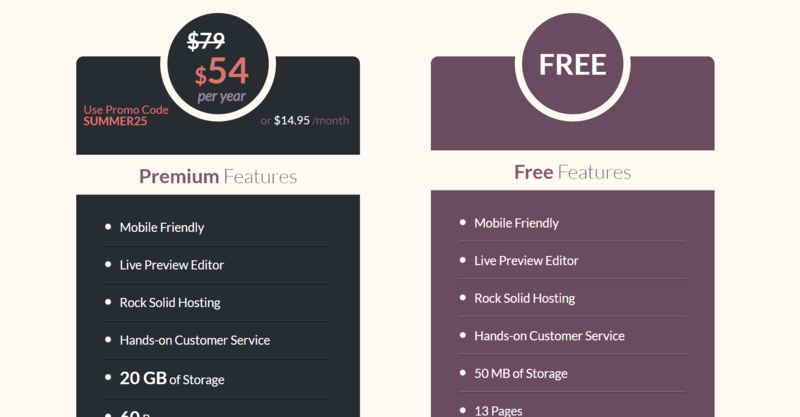 Although you have the option of trying out the layout, design, and features for 7 days for free. 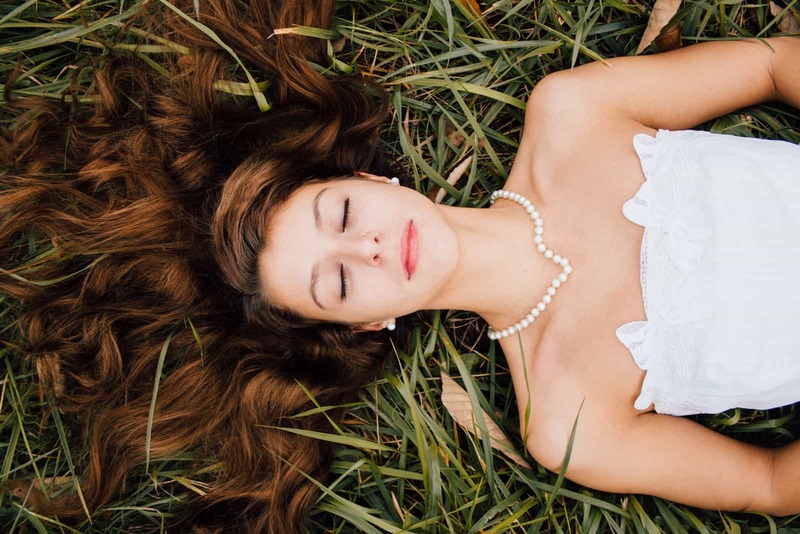 This gives the ability to play around with the features and tool offered to see if your wedding woo creation is the right fit for your wedding website. A countdown widget to track your wedding date, the SoundCloud widget to play music, and the Bing Translator to bring instant, in-place translations. Glo is quite the wildcard of wedding website builders to make this list. It is kind of the newcomer on the scene of wedding website building. But nonetheless, we included Glo because of its glowing reviews and great value. When choosing a wedding website builder many couples have to decide between a beautiful and creative design and stunning and useful features. That choice is not an issue with Glo because it offers both beautiful designs and stunning features. Glo’s beautiful design themes blend elegance with the couples own creative flair. The general themes that Glo offer resemble an old classy stationary design. Their themes are very mature and adult but still have a fun energy to them. Glo allows you to use stunning wedding website builder features that few other wedding website builders offer. You can manage an online guest list, manage RSVPs, including downloadable documents, and many more. Glo offers a wealth of features that make all the chaotic aspects of creating a wedding website much easier. 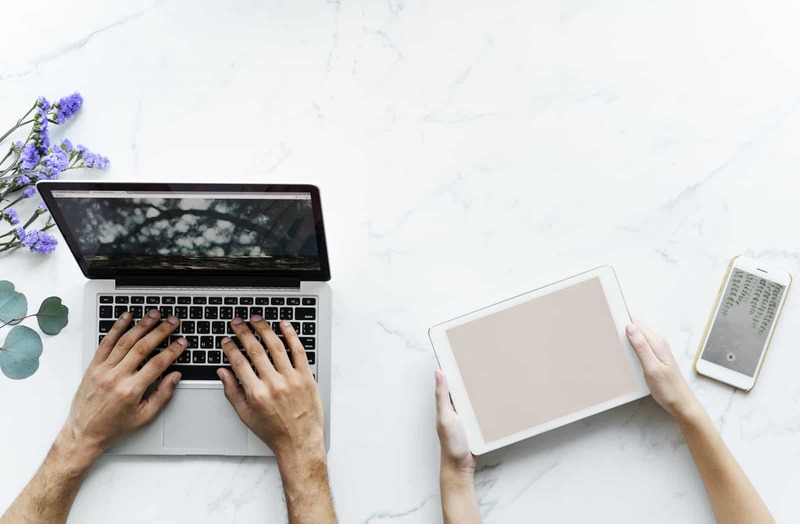 Especially if you have to deal with complicated guest logistics such as multiple languages spoken by the two different families, Glo is able to have multiple translations for your wedding website. An issue that some couples may have with Glo is that even though their themes are beautifully designed and very elegant many of them seemed pretty similar in an overarching sense. Glo offers three different packages: light, intimate celebration, and large celebration. Most couples may want to opt for the light package because it the least expensive option and its features cover almost all wedding needs. Add Photos, music, downloadable documents, widgets, & custom HTML. Add to your website and select which guests are able to view. Wix is one of the most widely used website builder and web host. Why would you consider Wix for your wedding site? Well, if the other builders like Zola don’t have all the customization options you want, then something like Wix might do the trick. Essentially you’re a control freak and want it your way. (I’m like that). Access to an extensive collection of images, clip arts, and icons. All fully customizable and 100% FREE to use on your Wix site. Day of real-time information features such as a countdown, weather conditions, and other updates. As mentioned before for Wix the premium plan is not really necessary for a wedding website because they offer a lot more than what is usually needed for a wedding website. That being said the Wix free plan displays Wix ads on your website so if you don’t want that on your site you may want to opt for the combo premium plan which is $11/month. Weebly is a very popular and widely used web builder and host that offers all the essentials for creating a wedding website. Weebly offers very a customizable color scheme as well as other design features to fit your needs. Although some have complained that their templates are a little dated to older website design layouts. If you want a simple, flexible, and free wedding website builder Weebly is a great option. One small issue couples may have with Weebly is that their free plans have Weebly adds on their site and would also be under a Weebly.com subdomain. 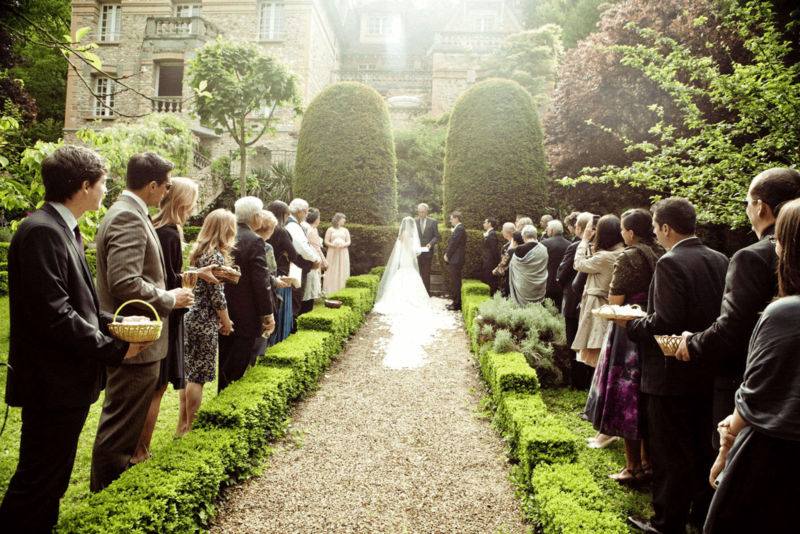 In terms of helpful wedding logistic features, Weebly has got you covered. 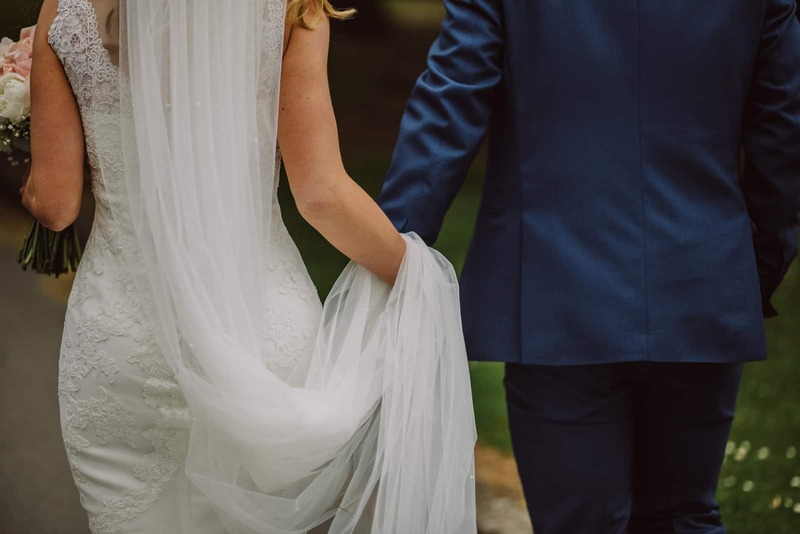 Another unique feature that you have the ability to add on to your Weebly wedding site is an online store for items you purchased for your wedding that you don’t need anymore. If you want a hosting plan that does not include Weebly ads it would cost $8/month (paid annually). It is very difficult to give a decisive answer about which wedding website is the best. No two couples are the same. Between each couple, there are so many different needs and requirements for their perfect wedding website. 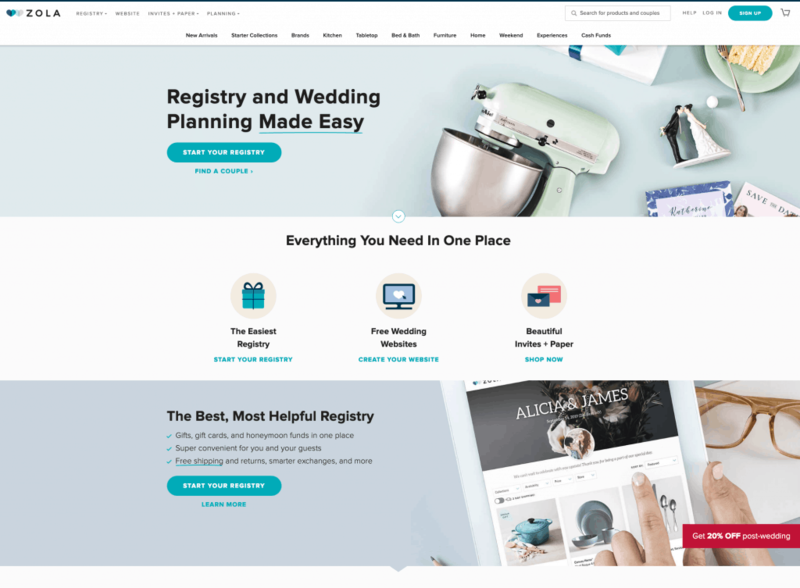 The best wedding website builder for most people is Zola. That been said you can narrow it down to best according to your specific needs. If you have many complicated logistics and moving parts such as multiple spoken languages between the two families Glo site may be your best option. Some couples may have an exact idea of what they want and find wedding geared hosting sites too restrictive. In this case, Wix or Weebly would be your best option because you can pretty much design your site any way you want. This is for those couples wanting to build things from scratch instead of getting inspiration from pre-designed templates.